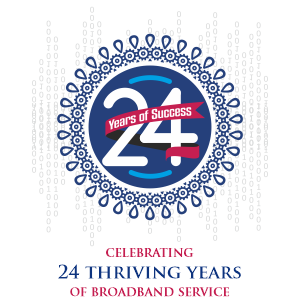 Excell Broadband is a dynamic company specializes in providing integrated communications solutions focusing domestic segment. Excell Broadband offers optimal access to Internet and a range of related services. Excell was founded and operated out of Hyderabad, Andhra Pradesh, India since the year 1998. Excell team consists of specialists trained in the latest technological standards continuously to successfully meet any challenge of clients' requirment. Excell IP network is built on over 10Gbps rings that carry Internet access services, IPTV traffic and VoIP traffic. We use several mechanisms to ensure quality services function as optimum. Excell runs on redundant fiber links on different tracks and in different equipment or Excell can backup local loop command transmission medium different from other operators.